Experience is the collective name which we give to all our personal feelings, thoughts, emotions, situations; in short, experience is life as we participate in it. Experiential essays deal with personal experiences which have to be clearly elucidated and reflected upon. If you are assigned to write an experiential essay, here are some tips you can use. Experiential essays are much different from other types of essays, such as descriptive or argumentative essays. An experiential essay refers directly to your own experience, without employing academic citations or any other kind of references. What is more, you do not need to read a lot on the topic before starting the process of writing. All you need to do is to formulate your topic, to recall a given experience, and to attempt at reflecting on it. In some sense it is good that you are not required to build a theoretical framework for your essay; on the other hand, though, you are in the dark, you have to be creative, use your imagination, and at the same time be able to describe and reflect on your experience in a very logical, precisely formulated manner. Hence, imagination and logic always walk hand in hand when it comes to writing experiential essays. An experiential essay refers directly to your own experience, without employing academic citations or any other kind of references. Basically, every piece of text one writes is a kind of learning. One learns about him/herself, one's own feelings, attitudes and values, and so forth. The experiential essay is more special because it is focused entirely on your own experiences. It helps you to learn more about yourself and reflect more on the given experience you want to describe. You should not think that an experiential essay is written to prove writing skills. It is rather a form of learning which will put you in a position to be aware of more about your strengths, weaknesses, habits, etc. And because of the fact that no one lives in isolation from the society, you also learn about your relations with other members of your society. David Kolb has elaborated a model of experiential learning. It consists of four main parts which you should include in your essay: concrete experience, reflective observation, abstract conceptualization, and active experimentation. We advise you to employ this model, for it will make your experiential essay coherent and well-organized. There are 4 main parts which you should include in your experiential essay: concrete experience, reflective observation, abstract conceptualization, and active experimentation. The first part of the model concerns your own experience. You should be able to answer questions regarding what happened, how, when and where, what you have felt or thought, what was your reaction to it, etc. Keep in mind that you should not merely write everything coming to your mind (like a stream of thoughts, feelings and associations), but you rather need to answer these questions in brief - in three or four sentences. The second part concerns reflection on your experience. You need to explain, for instance, how you behaved and why, and what were the consequences of your behavior. The conceptualization part requires formulating a few basic concepts which cover your experience. This is the tool which allows you to render more objectively what you have experienced as a person (for, no one would be able to understand your description without referring to objective concepts). The last part deals with experimentation - from what you have learned by now (from the concrete experience), what can you do in practice? Can you apply this knowledge? There are plenty of topics you can deal with. It is advisable to refer to an experience which has had strong influence on you: a romantic story, a situation which brought about an important change in your life, a painful or pleasant situation. You can formulate it in short as follows: "My first day as a teacher." There is no need to say that you have to use standard English at a very high level; that means employing terminology related to the field covering your experience. It is also important to use complex, long sentences, in order to prove you master the language and have perfect writing skills. Another important thing to mention is the use of "I"-person, that is, to speak only from your own point of view, and not from someone else's. It is not important what Peter or Mary has said about your experiences: the experiential essay covers only your own experience and reflections on it. Do not write in an emotional manner - sentences like "I felt very sad and desperate" are not seen well by the reader. You are not writing a diary! Do not refer to academic conceptions and theories - this is not a research paper! Do not add new experiences and ideas later in your experiential essay. You should focus on only one experience and write only about it! Do not write about the experience of other people! Do not report their experiences, only your own is important! 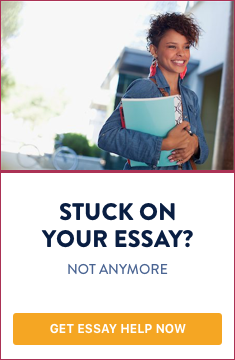 Once you have written your experiential essay, you need to check the following things: grammar and spelling; style; coherence and internal logic (there should be only one idea developed throughout the essay). If you are not sure in your proofreading competence, ask someone else to do it for you. Do not forget to consult your instructor any time when you have questions regarding the essay. I have always wanted to be a teacher of Science. After graduation I got my dream job. Finally, after long waiting I went to my workplace - a high-school in the town of X. I met all my future students and their parents for the first time, which was a very exciting experience for me. The day passed slowly; in the beginning I did not know what to do and what to say, but the good attitude of the people towards me made me speak more and be more talkative. I still remember that moment when a colleague of mine came up to me and said: “If you need some advice, come to me, I will help you out.” The days after I started thinking about my first day as a teacher. The experience was new to me. I thought I had a certain prospect in my life and I was ready to walk on this road, without knowing what stands at its end. The feeling to be a teacher is strange, especially when you are very young and your age is not quite different from the age of your students. For that reason I felt so strange during my first day as a teacher but my attitude and behavior changed later and I became more confident. Teacher's profession is difficult in itself but it gives a lot of opportunities to know yourself and also to pass your own values and worldview to people who are younger than you. It is full of tensions, unpleasant moments, but it also makes you feel proud of yourself. And the most important thing is that you always get recognition from the others for the things you have done. The beginning is always hard, but then the nice moments come. For the next school year I will prepare a special show with my students to show how one day of teacher's life looks like. My experience referred to above helped me realize different sides of teacher's profession. I want to be more talkative, because this will improve my work as a teacher, and preparing such an activity will help me a lot.